Maria Scinto has been writing since 2004 on sports, nutrition, health, parenting, real estate, education and other topics for publications including "Northern Virginia Magazine," "Montgomery Gazette" and "Fairfax Times." She has coauthored two books, "The Takeout Cookbook" and "Savvy Convert's Guide to Choosing a Religion." She has a master's in library and information science from the University of Denver. 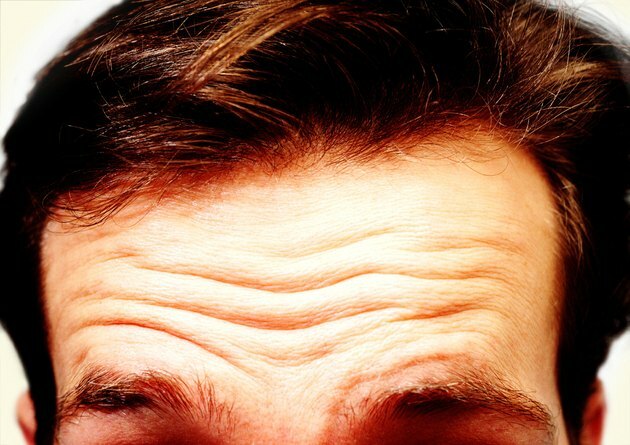 Forehead wrinkles are a natural, if unfortunate, byproduct of aging, and you can't escape from them forever. If you are troubled by their premature appearance, or you'd just like to delay giving into your forehead wrinkles for as long as you can, you can take a number of steps to reduce the overall impact on your appearance, at least temporarily. Tone your facial muscles with facial exercises or facial yoga. These exercises may help tone your facial muscles, which will reduce the sagging, wrinkled appearance of your skin. One facial exercise that targets forehead wrinkles involves lowering your eyebrows as far as you can, while pulling them together, then lifting them as high as possible and as far apart as you can. Repeat this exercise at least five times, several times a day, every day. It is only with repetition that you'll begin to see any result. Drink plenty of water. If you're dehydrated on the inside, it will start to show on the outside, and dry skin is more prone to visible wrinkling. Stay as hydrated as possible. You may wish to consider drinking mineral water instead of the tap variety. A 2008 study at Leeds University showed a particular brand of mineral water, Deeside Water from Scotland, to reduce the appearance of skin wrinkles 25 percent more than tap water. Refresh and hydrate your skin by carrying a small spray bottle with you and spritzing your face throughout the day. Use a facial patch or surgical tape to tighten loose skin. These small bandages are applied across the forehead and between the eyes at nighttime, and hold the skin back in its unwrinkled position. They are meant to train the skin muscles to stop sagging, and can be used even on deep wrinkles. Apply a good facial cream on a nightly basis, and a moisturizing sunscreen every morning. While sunscreen cannot erase any wrinkles you already have, it can prevent them from getting much worse. Choosing the best wrinkle-reducing cream is no easy task. So-called miracle ingredients such as retinol, coenzyme Q10 and hydroxy acids go in and out of favor. According to the CNN Health website, all may bring about slight to modest improvement of your wrinkles, but none is likely to be a "facelift in a bottle," as their advertising may claim. 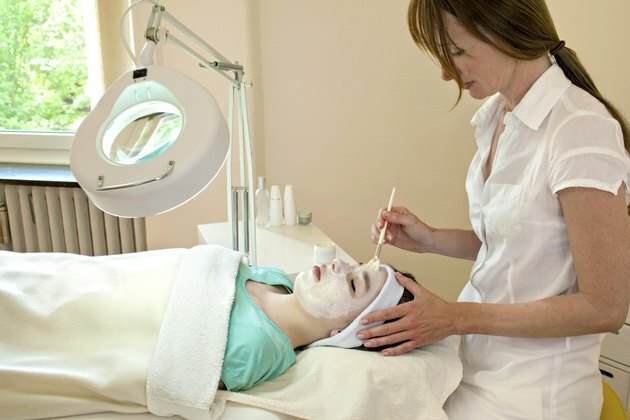 Consider a chemical peel or dermabrasion to resurface your skin. In the chemical peel procedure, alpha hydroxy acids (AHAs), trichloroacetic acids (TCAs) or phenols are used to remove the outer layer of the skin, revealing a less-damaged (and wrinkled) under-layer. Dermabrasion achieves similar results, although it involves a controlled surgical scraping rather than chemicals to remove the skin layer. 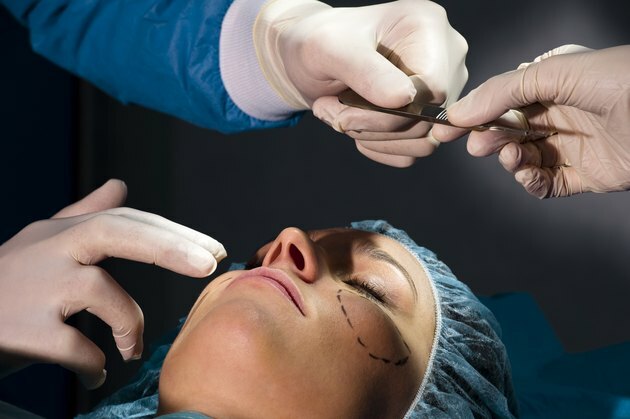 Although not every state requires a physician's license to perform these procedures, you're better off seeking the services of a trained plastic surgeon to perform them. Find a doctor you can trust. Check into a Botox® procedure to smooth out facial lines, if yours are too deep for a skin-resurfacing procedure. 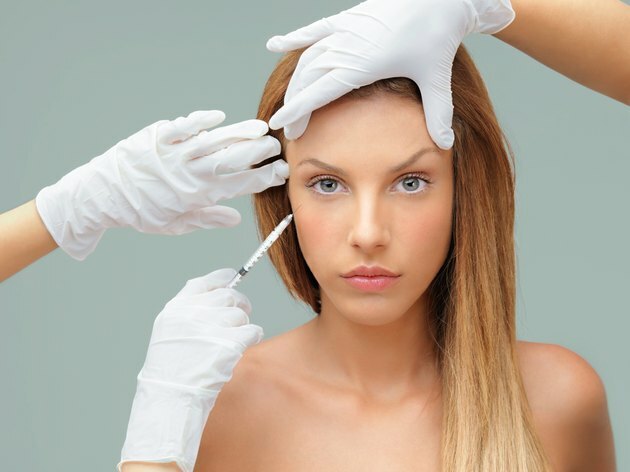 Botox® is short for botulinum A toxin, the serum that is injected into the facial muscles to cause temporary paralysis. This has the effect of instantly smoothing out wrinkles, although a less-desirable side effect is that once your forehead has been injected with Botox®, you'll tend to assume a somewhat "frozen" appearance, because of your inability to move the affected facial muscles. This has led to what some describe as a look of perpetually being surprised. Another downside to Botox® is that the procedure isn't permanent, lasting just two to four months. Find a good plastic surgeon to perform a rhytidectomy, also known a a face-lift. This surgical procedure involves recontouring the underlying fat and tissue of your face, then adjusting the skin to fit the new, younger-looking contours. With a face-lift, your recovery time may take several months, and the steep price will most likely not be covered by any type of medical insurance. If you are seriously bothered by visible signs of aging in your face, consider this procedure. Compared to all the other available methods of reducing forehead wrinkles, rhytidectomy offers the longest-lasting, most effective results. 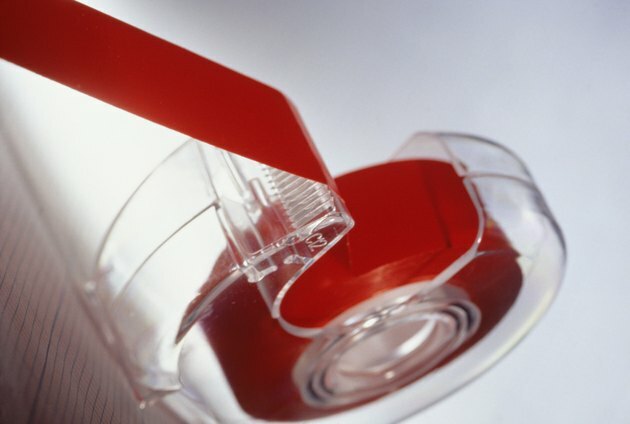 NY Mag: The Cut: Can Taping Your Face Actually Reduce Wrinkles? Is It Possible to Remove Chin Wrinkles?